All Orders Ship in 24 Hours or Less! Has your doctor ever asked you about your poop? Did your mom teach you how to poo? Did anyone? 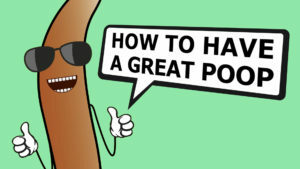 Here are 5 tips on how to make a great poop. This entry was posted in Uncategorized and tagged mama natural. Bookmark the permalink. To provide an effective product designed to improve toilet posture and maximize health while remaining comfortable, economical and convenient. The refund will reflect on the same account that it was purchased! Your order will be shipped using FedEx, and will arrive within 2-8 business days from the time the order is processed. Please refer to your email regarding tracking of your package. Expedited shipping is also available. If you have any questions concerning the status of your order or otherwise, please contact our customer service department. Copyright © 2019 Step and Go®. All rights reserved.